You have decided you want to train as an emergency response worker. You will need to determine if you want to work as an EMT or as a Paramedic. Both will provide you with a rewarding career. A job as an EMT will typically pay a bit less than that of a Paramedic. Paramedics are also trained to carry out more advanced medical support procedures. In this career you will provide essential emergency and urgent care to patients until you arrive at the hospital. Your job will be to get the individuals as stable as possible before and during transport. Can you work well and respond well to very stressful situations? Do you want a job where you can help people in some of their scariest moments? Are you prepared to sometimes work in dangerous conditions? Are you in good physical shape and health? Are you prepared to work long hours and to be prepared to answer many calls in one shift? You may want to consider a job as an EMT if your answers are ‘yes’ for the questions above. There are certain basic requirements of all EMTs. Consider them before you apply for a training program. Some Paramedic programs are an Associates Degree Program. With these programs you will take college courses. Some of the courses will not directly relate to emergency medical services. For example, you may be asked to take Math, English and Social Science courses. You can find many different EMT and Paramedic Training Programs throughout the state of PA. Some programs will last a few months, while others will last 1-2 years. Let’s look at a couple programs in the state of Pennsylvania. Harrisburg Area Community College-is among the schools in PA offering Paramedic Training courses. The courses are designed to allow students to attend either Part-Time or Full-time. Paramedic Certificate Program: This program consists of 31 credits and lasts about semesters. Prerequisites include current PA EMT certification and at least 100 documented emergency service calls. Students must also have completed the courses EMS 200 or Biology 121 or 111 and Allied Health 150 with a grade of C or better. Basic Life Support (BLS) training and certification, level of education, pre-admission examination score, and area residency also play a role in admission to the program. Students applying to the program must also submit a copy of their EMT certification card, three letters of reference in addition to a letter of reference from their current supervisor, a 250 word essay on decision making, and a 250 word essay on the reason for wanting to enroll in the paramedic program. Paramedic Associate Degree Program: Students also have the option of earning an associate’s degree by completing a 79-credit program. Completing either the certification or degree program qualifies students to take the NREMT-P exam. Both programs offer options for evening, daytime, and online courses. However, clinical and field experience classes require physical attendance. Emergency Medical Technician Certificate : The program involves 220 hours of instruction, covering topics such as anatomy and physiology, patient assessment, cardiopulmonary resuscitation(CPR) and Automated External Defibrillation (AED), pediatric and geriatric emergencies,and environmental emergencies. Students must successfully complete all required courses prior to becoming eligible to take the NREMT certification exam. *The Emergency Medical Technician Certificate Program is not degree based and therefore has its own tuition of $825 plus the cost of textbooks. School Type: This is a two year community college. Luzerne County Community College (LCCC)-is a community colleges offering an Advanced Life Support Program for Paramedics and an Associate Level Degree as well. the certificate in three semesters or with 1 year of continuous study. The curriculum includes courses in emergency vehicle operation, advanced pediatric care, trauma life support, and water rescue. Students who successfully complete the program qualify to take the NREMT-P exam. The course requires completion of 31 credit hours –Before being accepted into the paramedic program, students must be accepted into the college, possess current CPR certification at the health care provider level, and be certified as an EMT basic. Associate in Applied Science in Emergency Medical Services. This course generally takes 5 semesters of study to earn the degree. Core studies are the same as those found in the certificate program, with the addition of general education courses. The certificate program costs: $84 per credit hour for county residents; $168 per credit hour for out-of-county residents; and $252 per credit hour for out-of-state residents. School Type and Setting: This is a two year public community college located in a more rural area. Pennsylvania College of Technology-offers two paramedic training program. Students must pass a criminal history background check and show either current NREMT certification or pass one of the school’s basic EMT courses to be admitted to the program. Paramedic Certificate: To earn the certificate, students first complete a series of prerequisite courses designed to prepare them for advanced life saving studies. The program core curriculum includes courses in airway management, pharmacology, pediatrics, and obstetrics. The paramedic program at Pennsylvania College of Technology was the third in the US to become nationally accredited. It is a 37 hour, four semester degree that includes classroom and laboratory instruction, as well as clinical and field experiences. Students must maintain a grade point average of 2.0 or higher. Associate of Applied Science in Emergency Medical Services: This consists of 2 years of continuous study, including summer sessions. The curriculum is the same as that of the certificate program, with the addition of general education courses. School Type and Setting: The school is a 4 year school that also offers certificate and Associate Degree programs that take 1-2 years to complete. This is a private college located in a small city. Do I need formal training to become an EMT-Basic. Yes, you do. Your training will usually include 120-150 hours of training with a combination of classroom studies and clinical experience. Do I need a two year degree to become a Paramedic? A two year degree is not required to be eligible for testing and lesting to work as a Paramedic. However, many Paramedic programs are Associate Degree based or take anywhere from 1-2 years to complete. 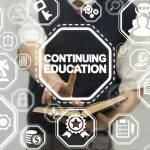 How long will my EMT Program take ? If you are not training to be a paramedic, your training program will probably last from 4-6 months. Some programs may take slightly less to finish. Can I train to be an EMT online? You cannot complete an entire EMT program online. It is possible that you will be able to take some of your coursework or complete certain modules online. But you will need to finish clinical and field experience in person and there are likely classes you will need to take in person as well. Is the job outlook good for EMTs in Pennsylvania? It is. In fact, Pennsylvania is one of the states hiring the most EMTS and Paramedics. 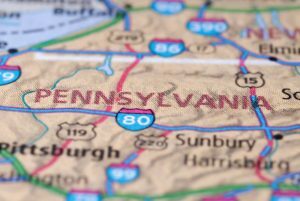 The need for qualified individuals has been growing pretty rapidly in PA.